Sylvia Dianne (Hedges) Everets, born May 23, 1939 in Hagersville, Ontario, died peacefully on January 13, 2019 at her home in Kelowna, British Columbia. Dianne was a loving mother of five children: Patricia (James) Smith, Harold Everets, Frederick (Brenda) Everets, Edward Everets and Janice (Kim) Baker Everets; seven grandchildren Michelle, Jennifer, Michael (Thanya), Dustin, Brianna, Jamie and Andy; and three great-grandchildren Olivia, Lucas and Remy. 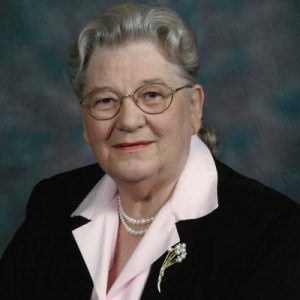 Dianne is predeceased by her husband Bryce Everets with whom she faithfully raised the family, supported other family members and served their church. Bryce and Dianne had a successful reupholstery and furniture refinishing business in Ontario. Here in Kelowna, Bryce worked with his son Fred. Dianne became staff associate at St. Paul’s United Church and was a Chaplain at the hospital. Daughter of Fred Hedges and Nellie (Hoover) of Nanticoke, Ontario, Dianne is survived by her 5 siblings: Jack (Jane) Hedges, Gord (Margaret) Hedges, Gerald Hedges, Sandy (Marian) Hedges and Joy (Doug) Mitchell; and many nieces and nephews who loved and appreciated her for her strength and character. Dianne never failed to treat everyone with respect and cared deeply for their wellbeing. She will be missed by friends and family alike. A Memorial Service will be held on Wednesday, January 23, 2019 at 10:00 am at Springfield Funeral Home, 2020 Springfield Road, Kelowna, with Reverend Wayne Laurie officiating. Donations may be made to the Heart and Stroke Foundation, www.heartandstroke.ca, or the Canadian Cancer Society, www.cancer.ca. The service for EVERETS, Sylvia Dianne (nee Hedges) is scheduled for Wednesday, January 23, 2019 at 10:00 am. Below you will find the map for the service location and the contact information should you have any questions. Dianne was a generous, caring woman who touched the lives of so many and left them the better for her spiritual guidance and comforting nature. She will be sadly missed, but remembered with affection and appreciation. Our condolences to her extended family. We are wishing that all who loved Dianne a comforting time, rich with stories and memories, happy or sad. Sending love to her family. I will miss her. She became a good friend to me at Apple Valley.